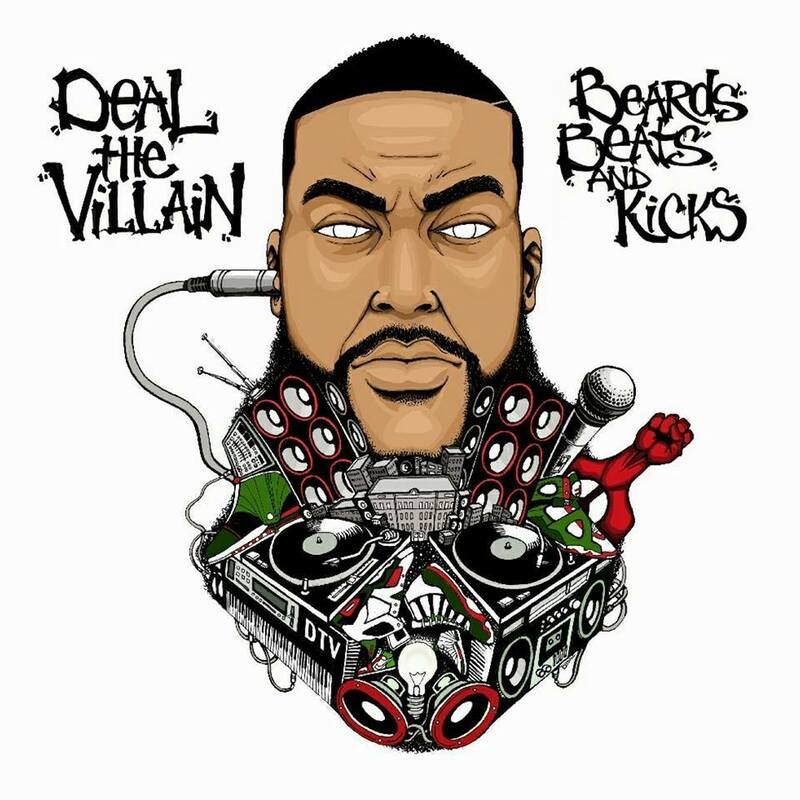 New Jersey emcee Deal The Villain presents his dope EP, Beards, Beats & Kicks, which is a trinity of subjects that combine to form a small part of his personal identity. On the 9-track album, Deal tackles a full spectrum of topics such as death, narcotics, relationships, Hip-Hop, and politics from his perspective. Beards, Beats & Kicks also plays host to an illustrious soundscape which includes beats by Knxwledge, Flying Lotus, S1ncere, Deal The Villain, plus executive production duties from Michael Cadigan, Lyriq2Go and Myk Dyaleks.